Looking for a luxury hotel in Ireland to treat the family to a break away to celebrate a special occasion such as a birthday, significant anniversary or to say well done for an achievement? 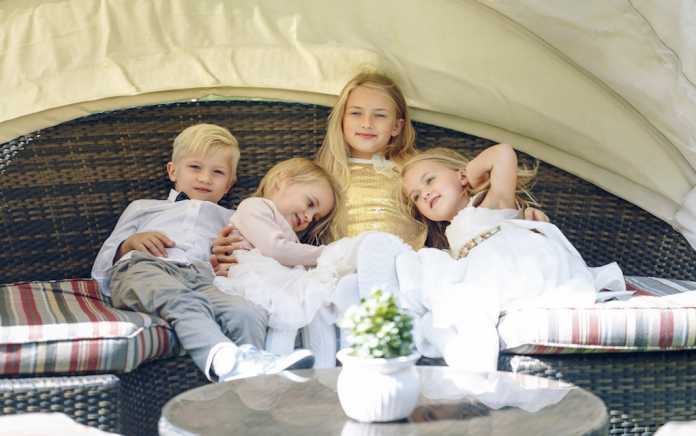 We asked our parent audience to tell us where they have celebrated their special occasions with the family and have put together a list of Luxury Hotels in Ireland Perfect for Special Occasion Family Breaks where everyone will feel pampered and looked after. Delphi Resort in Leenane, in stunning Connemara offers luxury family friendly accommodation in their 4* hotel with spa. 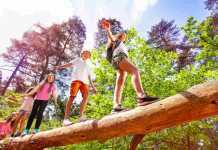 Delphi Resort is renowned for the superb range of adventure activities available, with over twenty family friendly outdoor activities to experience suitable for age 4+. They include; kayaking on Killary Fjord, surfing on Ireland’s Wild Atlantic Way, mountain bike riding, Zip ‘n Trek tree top adventure and the brand new 220m zip wire – the only difficulty will be deciding which to choose! There are supervised kids activities all day during school holidays, so parents can leave their children safely in the hands of expert Delphi staff and enjoy some much deserved peace and quiet with dinner and drinks in the bar, indulging in a spa treatment or simply enjoying a good book in a comfortable arm chair. 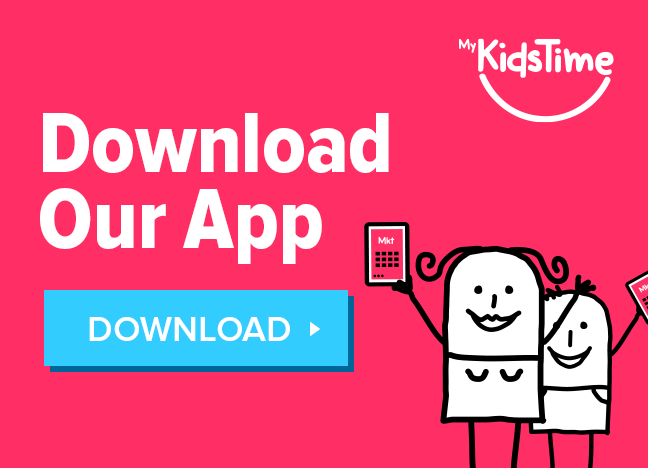 The free morning Kids Club (3-7 year olds) offers a range of ‘fun for the little ones’ activities including arts and crafts and nature walks. 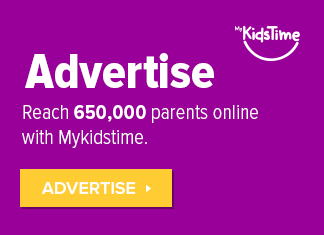 Afternoon Kids Club is also available for €25 per child. Celebrate a special occasion at Delphi Resort. Families of all ages are welcome all-year round at the luxurious Brehon in Killarney. The spacious family rooms are in high demand and, once you stay, it’s easy to understand why. 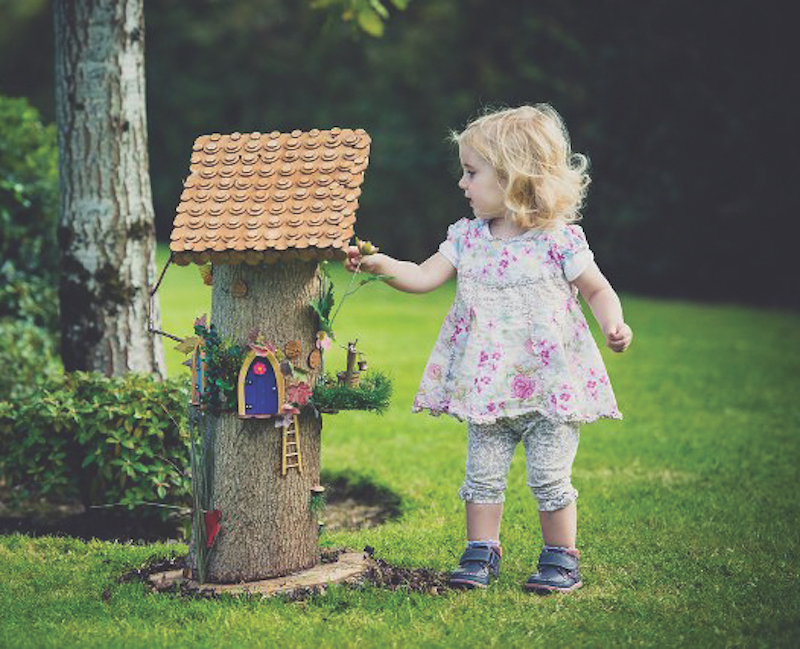 This hotel is full of family friendly fun surprises, like the teeny tiny fairy village that magically appeared on their lawn some years ago, the fairies earn their keep by delivering cookies and milk to every child staying at the hotel. There’s also their scrumptious afternoon tea especially for kids which is full of tasty treats including fruit smoothies, cookie monster cookies, cake pops, jelly and ice-cream shots and rocky road. The Brehon Bar also offers a fantastic children’s menu with plenty of healthy options. For family movie nights, you can have popcorn and chocolate treats delivered to your room. The Brehon playroom opens during the school holidays and the programme of holiday kids’ clubs at The Gleneagle Hotel, located next door, are free to junior residents at The Brehon as are The Gleneagle’s extensive leisure facilities. We took the kids to Dromoland to celebrate our 10 year anniversary and they didn’t want to leave! The room was stunning and little touches like a miniature packet of natural confectionery sweets left on their pillows at night and a trip around the grounds in a golf buggy, made it all the more special for them and us. The food was pretty special too and, as it was Easter time, the girls got to take part in a chocolate cooking camp with the chef in the kitchen. We played tennis, rode the go-karts and went swimming. You can also enjoy a falconry experience, golf, pony rides, spa treats, water-sports and there are 450 acres of parkland to explore. 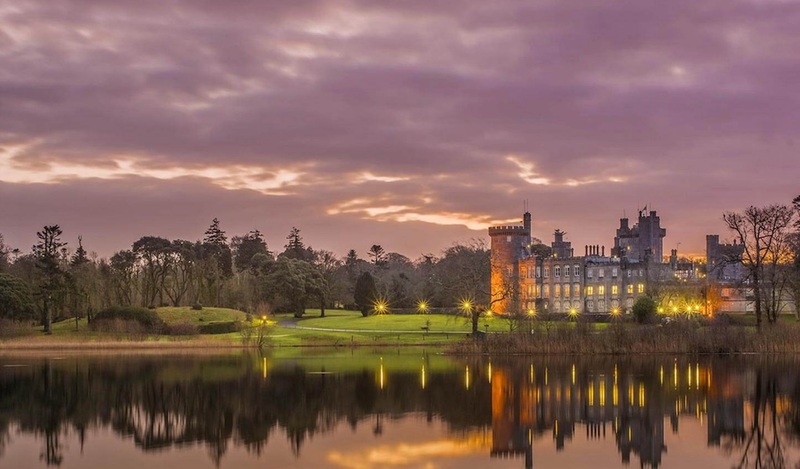 Dromoland Castle truly is a luxury hotel in Ireland that caters for all members of the family. Another luxury hotel in Ireland where all the family will enjoy VIP treatment is, Ashford Castle in Mayo. The castle is over 800 years old and is set on the edge of Lough Corrib in 250 acres of parkland. We have been lucky enough to stay there with the kids, to celebrate my parents’ wedding anniversary and this was another hotel, that we didn’t want to leave! From horse riding to golf, spa treats to treasure hunts, falconry experience to zip-lining and tennis to water-sports, all ages are catered for at Ashford Castle. 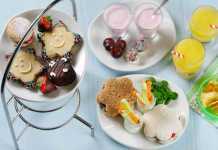 The food is delicious too and a junior guests’ menu is available. A visit to Ashford Castle is truly magical experience for everyone in the family. 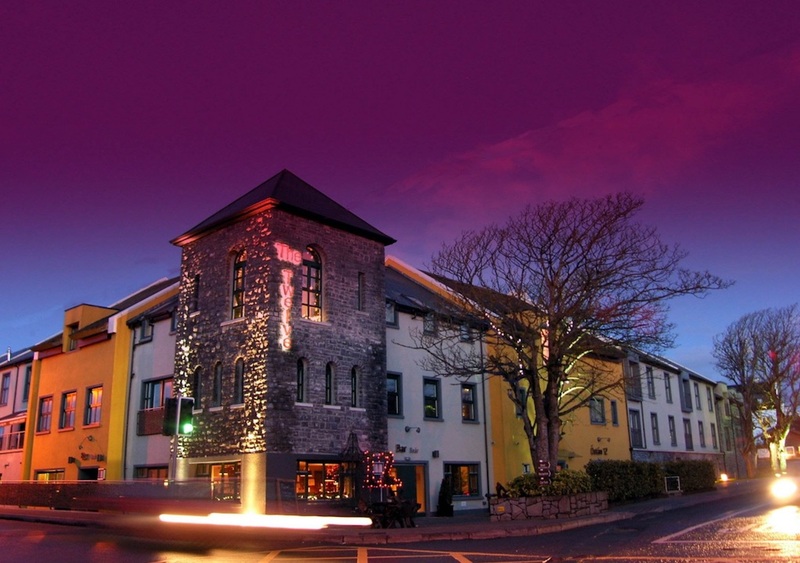 If you are looking for a luxurious boutique hotel for a family celebration or a break away from it all, The Twelve in the village of Barna, just minutes from Galway City, is the perfect location. It offers pampering treats in Le Petit Spa, culinary delights in a choice of restaurants including an on-site pizzeria or in a private suite and hospitality to all. You can even bring your pet along to enjoy the celebrations. And, on the doorstep, you will find beaches, adventure centres and activities for all to enjoy. The Park Hotel and Sámas Spa on the outskirts of Kenmare offers 5* luxury for both parents and kids. With movies and popcorn in the 12 seater cinema and activities arranged for younger guests during school holidays, parents can have some ‘me time’ knowing that their little ones are being well looked after and entertained. 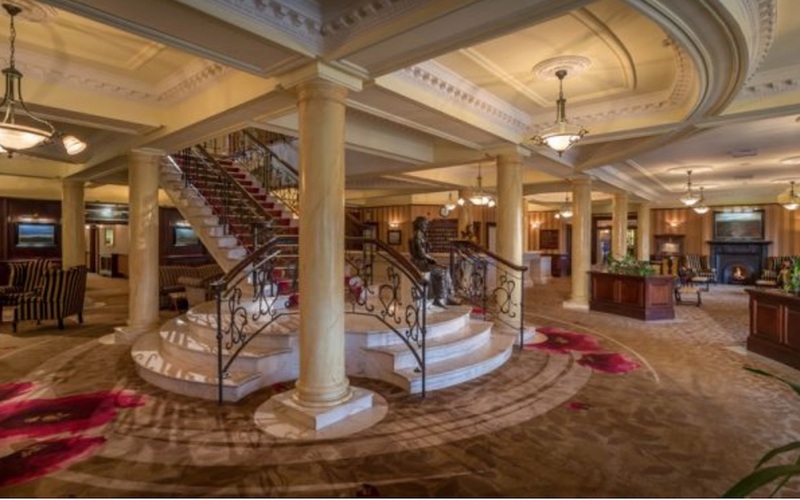 Another 5* gem in Kerry is the Europe Hotel & Resort in Killarney. 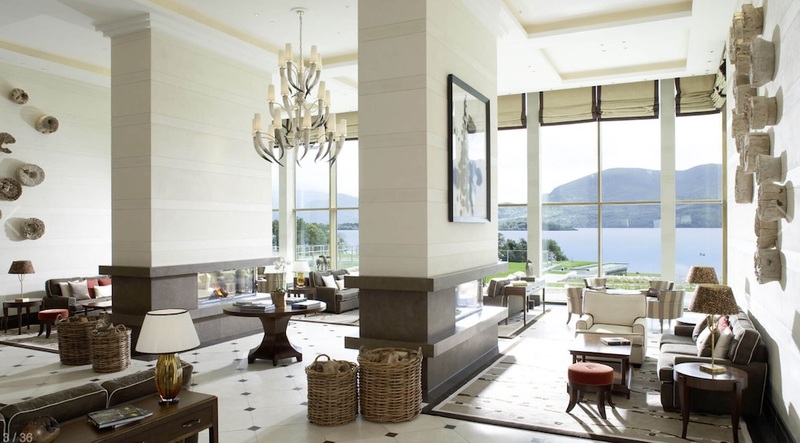 Overlooking the world famous lakes of Killarney and incorporating the award winning ESPA at The Euorpe, guests will enjoy a luxurious stay to celebrate any special occasion. On-site activities include use of the 20m pool, indoor and outdoor vitality pools, fully equipped gym, relaxation areas, indoor tennis, horse riding and preferential rates and tee times at the Killarney Golf Course situated next door. Galgrom Resort & Spa in Antrim is just half an hour from Belfast and sits in almost 200 acres of parkland with the river Maine flowing through. The luxurious spa and thermal village offer a range of treatments and treats for all ages including; outdoor and indoor heated pools, riverside hot tubs, saunas, steam rooms. All special occasions are catered for with bespoke menus and a choice of indoor or outdoor spaces in which to host your celebration. The 5* Muckross Park Hotel & Spa is set in the Killarney National Park and offers traditional hospitality with modern, luxurious facilities. Adult hotel guests can enjoy complimentary access to the award winning spa and for families there are many activities on offer locally. 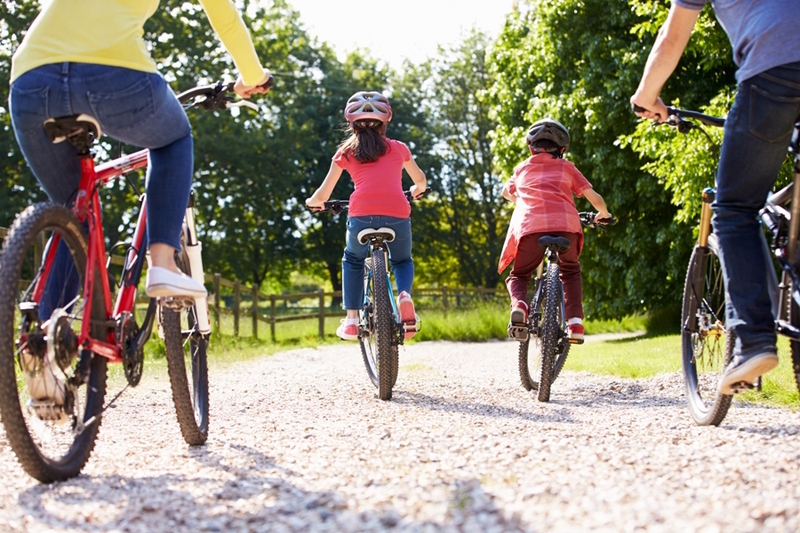 Free bike hire is available to all guest so you can explore at your leisure. A family break at The Spencer is sure to be a memorable one. Conveniently located in Dublin city centre and packed with family friendly facilities. The luxury and minimal style of your family room is designed to maximise space for the comfort of your entire family. With large, quadruple rooms available that offer the ultimate luxury for a family with two bedrooms and a private bathroom. 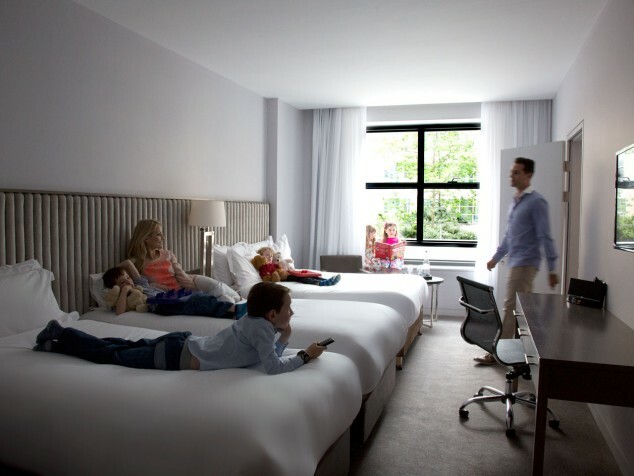 Ultra comfortable beds will ensure the entire family are well-rested for busy days ahead of activity and fun. The Spencer Hotel offers luxurious packages for families which include dinner and breakfast. Guests can also enjoy The Spencer Health Club facilities which includes an 18 metre heated pool, steam room, jacuzzi, sauna and a fully equipped gym. A selection of family rooms have balconies for a touch of added luxury. All bedrooms with balconies have locked doors for your safety. Nestled in the stunning Connemara countryside and surrounded by the Atlantic Ocean and 150 acres of beautiful grounds, which include a freshwater lake, you will find the luxurious Renvyle House Hotel & Resort. When we stayed here, the kids were whisked off to be entertained while we enjoyed a delicious dinner at the Rusheenduff Restaurant. There are numerous activities on-site including; tennis, croquet, fly-fishing, canoeing and an outdoor heated swimming pool open during Summer months. You will have a truly unique experience when you visit Renvyle House Hotel, from the moment you step through the door to when you reluctantly have to bid farewell. So whether you want to hold a celebration here or visit to celebrate a special occasion, you will have a memorable stay. Set in 300 acres of stunning grounds the Slieve Russell offers a retreat for families of all ages. There is on-site golf, adventure golf, tennis courts, games room, walking trails, soft play area, kids club during school holidays and a magnificent 20m swimming pool for all the family to enjoy. The pool has a therapeutic whirlpool with massage seats. And teens and adults can enjoy treatments at the Ciúin Spa. Perfect for any occasion. 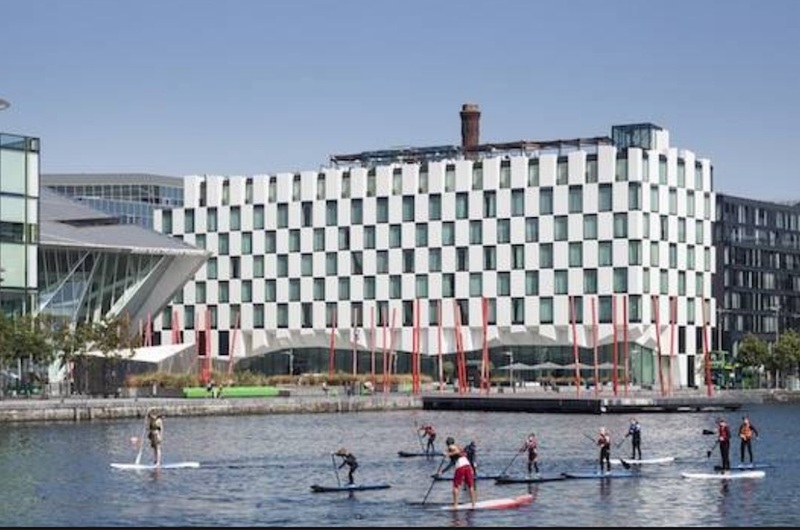 The Marker Hotel is set in Dublin’s Docklands, overlooking the River Liffey. It is the perfect, luxurious retreat to escape from it all to celebrate a special occasion or spend time exploring Ireland’s capital city. The Marker has a 23m infinity pool, that younger guests are permitted to use at certain times during the day, and adults are invited to use the sauna and jacuzzi or book treatments at the Spa and Wellness Centre. A choice of 3 dining options await you including the stunning Rooftop Bar with views across the city. From theatre breaks to Spa Breaks the Marker offers luxury for all in the heart of the city. 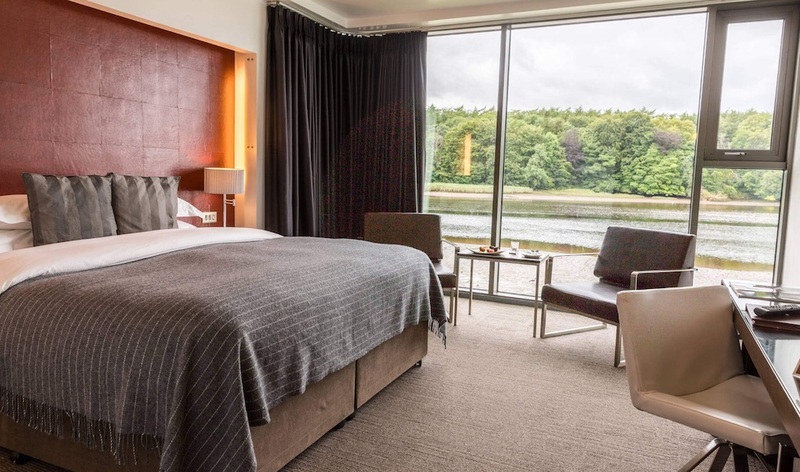 The Ice House in Ballina, Co Mayo offers luxury family stays on the banks of the River Moy and includes the Chill Spa and a choice of dining options perfect to celebrate any special occasion. They have a selection of family rooms and suites and plenty of local attractions for you to discover together. 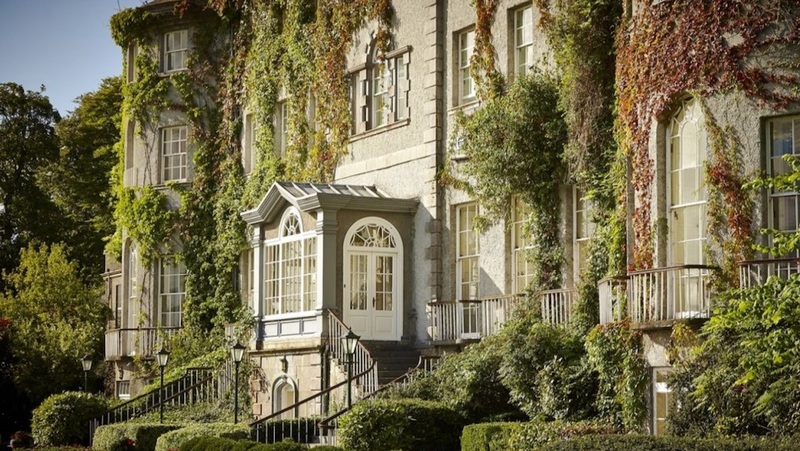 The stunning 5* Powerscourt Hotel is set overlooking the Sugar Loaf Mountain in Enniskerry, Co Wicklow. Step into a world of luxury where nothing is too much trouble and enjoy deluxe amenities and luxury extras including the award winning ESPA. 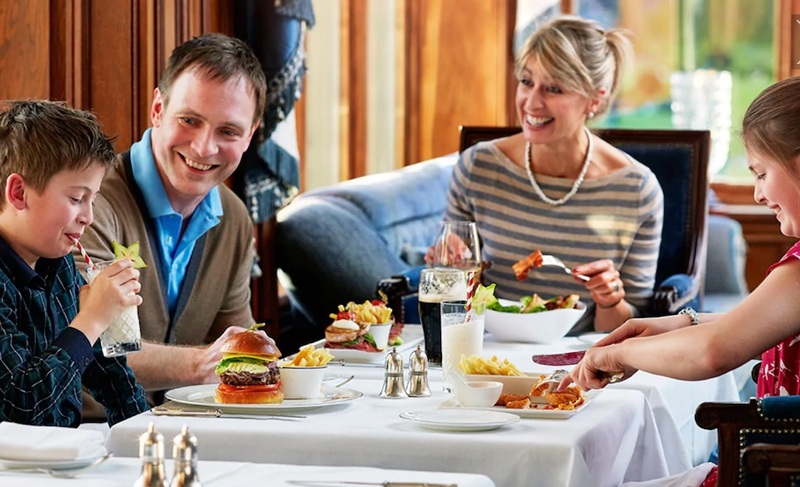 If you wish to host a gathering for your special occasion, the Powerscourt Hotel offer indoor and outdoor settings of varying sizes and exceptional dining options. The Castlemartyr Resort in Cork offer luxury breaks to celebrate your family special occasion in deluxe rooms, suites and self catering homes. 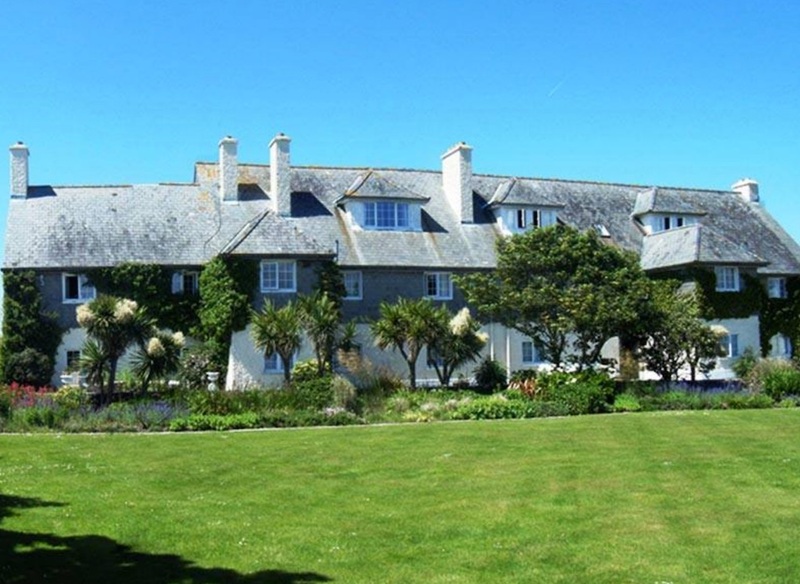 All the family can enjoy the swimming pool, pony & trap rides around the resort, croquet, golf and spend time exploring the 200 acre grounds or enjoying the local beaches and activities. During school holidays there is a kids club and while you enjoy a treat at the Spa, your children will be looked after. 5* luxury for all. 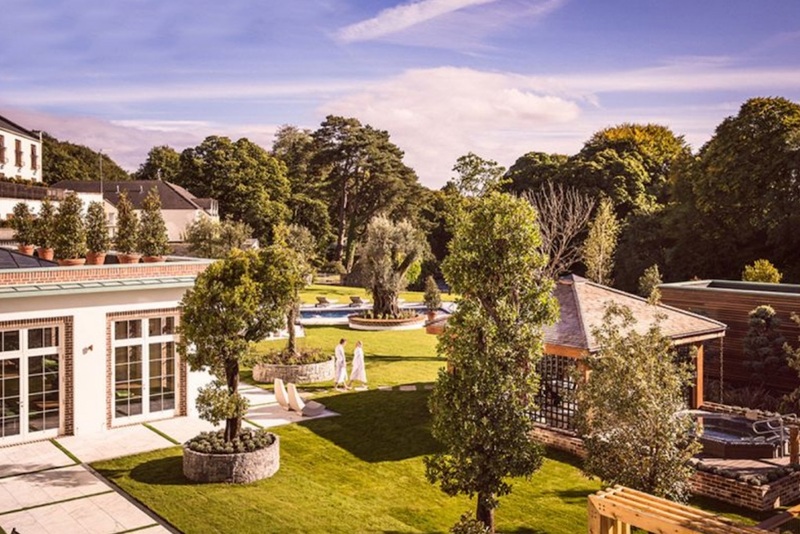 The Mount Juliet Estate in Kilkenny combines old style luxury and hospitality with a host of leisure activities to suit all ages. Whether you want to play golf, go fishing, riding, archery, falconry or indulge in treatments at the award winning spa, all your needs will be catered for at this luxury retreat. 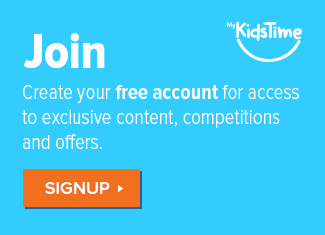 Younger members of the family can enjoy the juniors club, during school holidays. And a range of dining options are available to suit all tastes. The Lyrath Estate and Spa offers luxury, sophistication and style set in 170 acres of mature parklands which includes lakes and beautiful gardens to explore. For those wishing to celebrate a special occasion together with their family, they offer a selection of exceptional dining experiences for you to enjoy. During school holidays, Reilly’s Fun Club is available for younger members of the family and there is also an on-site playground, console room, private screening rooms for movie buffs, falconry and a 17m swimming pool. Adults can enjoy spa treats at the Oasis Spa, archery and golf locally. The recently restored Adare Manor offers luxury breaks the whole family will enjoy. 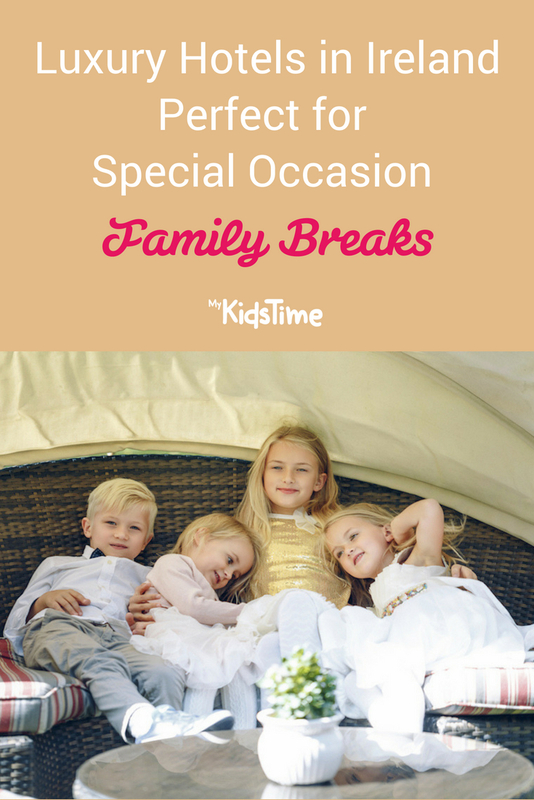 From family activity breaks, to spa breaks, golf breaks and gourmet dining experiences. It is the perfect place to celebrate a special occasion in style and escape from the ordinary for a short time. I have been lucky enough to stay in Harvey’s Point and I can say without hesitation that the rooms are exceptional, the food is delicious and it is the perfect place to celebrate any special occasion with the family. Just a short drive from Donegal Town, you will be transported to another world, surrounded by nature and overlooking a beautiful lake. You will leave feeling refreshed, pampered and relaxed and wondering when you can return! Over to you now. 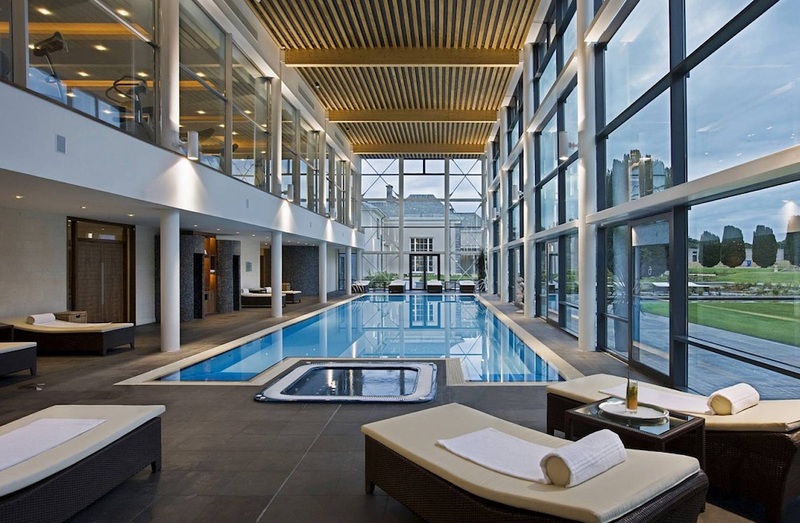 Have you celebrated a special occasion in any of these luxury hotels in Ireland? Please let us know in the comments box below.